What is the status of Iran’s economy three months after President Hassan Rouhani’s inauguration? In a televised interview marking his first 100 days, President Rouhani acknowledged that the state coffers were virtually empty when he assumed the presidency. The government did not have sufficient revenue to pay public sector salaries. Iran also faced major shortages in basic commodities, such as wheat, at the same time. To compensate for the unexpected shortfall, the new government had to stop several development projects and borrow from the Central Bank. • Inflation was over 40 percent in the last Persian year, which ran from March 2012 to March 2013. • Iran’s GDP declined by 5.8 percent over the same period, according to the Central Bank. Rouhani said Iran had not suffered this depth of stagflation since the revolution’s early years. Rouhani put the current debt at 200 trillion tomans, or roughly $70 billion using the open market exchange rate. If true, the ratio of government debt to GDP is about 30 percent, a sizable jump from previous years even with the currency’s devaluation. In comparison, Turkey’s ratio of public debt to GDP is about 36 percent, and Egypt’s ratio is over 80 percent. What role does Iran’s economy have in Rouhani’s political game plan? Rouhani’s foreign and domestic economic strategies are irrevocably linked. 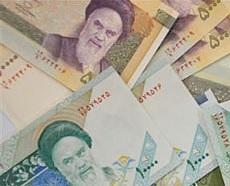 Inside Iran, the issue is not whether international sanctions or domestic mismanagement caused its economic woes, which is largely a rhetorical question used by Iran’s politicians to criticize each other. So the barriers to economic rejuvenation are mostly political. Rouhani’s team is trying to mobilize allies in parliament behind a range of new economic policies to address these issues. Given perceptions of President Mahmoud Ahmadinejad’s disastrous legacy, hardliners have little leverage – for now – to challenge the new centrist president and his reformist allies on economic policy. If reforms deliver results, conservatives can say they were part of the solution. If not, Rouhani’s initiative lessens the chance of Iran’s entire right-wing establishment attacking him – as happened during former President Mohammad Khatami’s tenure. What strategy is Rouhani pursuing to improve Iran’s economy? Rouhani is engaged in a precarious balancing act. So far, his administration has decided not to massively curtail government spending on cash grants, energy subsidies, and other public arenas. Given the importance of government spending in the economy through various formal and informal networks, a rapid move toward austerity to reduce inflation would drive the economy into a deeper recession. Rouhani is cutting back the budget both this year and next year, but his team has argued they can spend limited revenues in smarter ways. Rouhani concedes that the government cannot cut enough spending to balance the budget, since Iran’s lower and middle classes rely on subsidized healthcare and income grants. The administration fears social backlash. So, for now, Rouhani is trying to establish social trust in public institutions in a way that will allow more reforms down the road. His ambitious agenda will require more stringent monitoring of public spending and directing it in more productive ways, while also creating an investment climate that encourages productive, not speculative, activities by a fickle private sector. What shifts have occurred in the economy since Rouhani’s election—with what impact? The new government has largely stopped using shares of public sector companies to pay existing debts to semi-governmental holding companies, pension funds, and contractors. A recent Reuters investigation on the Imam’s Orders Headquarters detailed how one such holding company – ostensibly run by the office of Supreme Leader Ayatollah Ali Khamenei – invested in wide swaths of Iran’s economy. The story grabbed headlines, but it was misleading. This form of investment and asset management is common in Iran, not just for companies attached to the Revolutionary Guards or the Supreme Leader’s office. There are dozens of such holding companies, with ownership spread among political actors. Rouhani’s administration has made a decisive break from the Ahmadinejad era by halting government transfer of state assets into this form of ownership and rethinking how to privatize the public sector. The government has also put a stop to the previous administration’s huge public housing program – the Mehr Housing Plan – which is widely regarded as a major driver of Iran’s inflation. The plan was supposed to construct public housing for poor Iranians, mostly newlyweds, so they could obtain low-interest loans and move out of parents’ homes. But the plan was botched. Large apartment complexes were built on the distant edges of urban centers, often without access to other public facilities. Beneficiaries of the plan were predominantly Iran’s new middle classes, not the poor. And, partly as a result of subcontracting out the work with little oversight, construction was shoddy. The Iranian press is now filled with pictures of sub-par housing complexes and stories of people refusing to move in. The Rouhani government terminated the Mehr Plan and promised to revamp it into a “social housing” program – in several years. What has happened to Iran’s subsidy reform plan and income grant program? In his televised interview, Rouhani said the government is weighing its options. It could raise the price of energy, reduce the value of income grants, or determine some way to restrict recipients of income grants to lower-income households. But each option has its costs. Rouhani said the government could have looked at individual bank accounts to estimate household incomes, but in the end rejected this option. People must regain faith in the banking system, he said, so they would feel more comfortable about investing. So, for now, Iran’s subsidy system is in a holding pattern. The government is not reducing subsidies this year on fuel or energy, nor is it changing the nominal level of grants to the population. In the meantime, several industrial sectors – from gas to auto to steel – are lobbying the government for financial support because of energy costs of production. Overall, bolder economic policy shifts on any issue require an ever-wider political coalition. Rouhani has so far maintained a wide base of political support as his administration pursues engagement with Western powers on the nuclear issue. If he can keep this coalition intact, then he just may be able to walk the economic tightrope. Kevan Harris is a sociologist and postdoctoral research associate at Princeton University. He was a 2011-12 USIP Jennings Randolph Peace Fellow. His recent publications are available at http://kevanharris.princeton.edu.